Proponents say it would reduce euthanasia and imports from 'puppy mills,' but critics say it would hurt local businesses and hobby breeders. 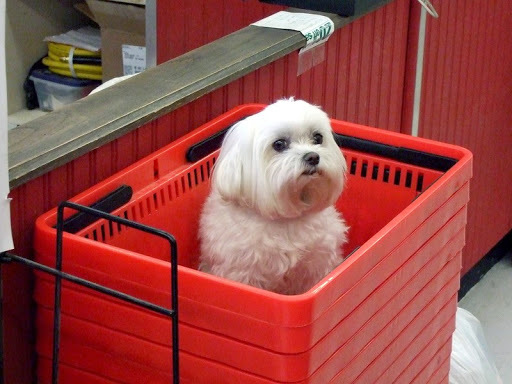 A Cape Elizabeth lawmaker is sponsoring a bill to ban the sale of dogs and cats in pet stores in an attempt to keep the animals from being imported from "puppy mills." Rep. Kimberly Monaghan, D-Cape Elizabeth, says her bill - "An Act To Prohibit the Sale of Dogs and Cats in Pet Stores" - would "ban the sale of dogs and cats from puppy mills, specifically from the Midwest where they have had the most problems." If passed, Maine would be the first state to ban such sales. Maine has only four pet stores that sell cats and dogs, but pet store owners and dog breeders are concerned about the impact the bill would have on the stores, as well as on in-home dog breeders who are defined as "pet stores" under federal regulations. Monaghan, who is sponsoring the bill on behalf of Maine Friends of Animals, provided few details about the bill Tuesday because the final language has not yet been released. She did say the law would carry a penalty of $2,500 and license revocation for selling animals from a puppy mill, but stopped short of outlining how a mill operation would be defined. Robert Fisk, director of Maine Friends of Animals, did not return calls Tuesday. Katie Hansberry, Maine state director for the Humane Society of the United States, said the organization has in the past supported similar bans, which have been proposed at the municipal level. This type of bill helps reduce the number of adoptable cats and dogs that are euthanized, while also driving business from puppy mills and toward responsible local breeders, she said. "Puppy mill" is the term that animal rights activists use to describe large-scale breeding businesses, primarily in the Midwest. Those activists - who often picket outside pet stores - say large-scale breeding leads to sick animals. Opposition to "puppy mill" breeding made headlines in Maine in 2013 when a Scarborough pet store had to quarantine puppies after one fell ill with parvovirus, a highly contagious and potentially fatal disease that occurs mostly in young dogs and that activists say is common among puppies from large-scale breeders. But others bristle at the use of the term "puppy mill" and say most breeders abide by state and federal regulations. Jay Kitchener of Wells, a former legislative liaison for the Maine Federation of Dog Breeders, said the ban is "a very bad idea" for Maine. "It's not addressing a particular problem here in Maine," he said. "This is part of something much bigger." Roughly 50 municipalities nationwide have implemented local bans on pet sales, but no states have approved such a measure. Last year, Illinois lawmakers considered a bill to ban the sale of dogs in pet stores, but it did not become law. Kitchener also is concerned about the impact the ban would have on hobby breeders like himself. According to the federal government, all home hobby breeders who own or co-own five unspayed female animals are considered pet shops, he said. "If Maine passes a ban on the sale of puppies from pet shops, what impact will that have on home hobby breeders who might have five females?" he said. Bryant Tracy, owner of Pawz & Clawz Petz in Windham, opposes the proposed ban because it reduces freedom of choice for consumers and hurts local businesses. He said he only sells animals from breeders and kennels that are licensed by the federal Department of Agriculture. "Limiting individual freedom by banning the sale of pets in pets stores is not the answer to improving animal welfare and standards of care," Tracy said. "Those of us who truly care about the welfare of animals work to raise the standards of care and eliminate breeders who don't maintain acceptable standards." Patsy Murphy, executive director of the Animal Refuge League of Greater Portland, said the bill could "help crack down on inhumane puppy and kitten mills." "If this legislation is successful, it would boost adoptions for area animal shelters and rescue groups and increase opportunities for responsible breeders," she said. "Reputable breeders generally don't sell animals over the Internet or through a pet store." Monaghan said more details about the ban will be available when the final bill language is released. She said the bill could be ready as early as this week.